This 5th Annual Euro Motor Extravaganza is a combination European / British Car Show, Autocross, Party, and Charity Fund Raiser Event benefiting Therapetics Service Dogs of Oklahoma, a non-profit agency working to enhance the lives of individuals living with the physical disabilities of MS or other disabling diseases or events. The main sponsors of this event include The Jaguar Club of Tulsa and The Sand Springs Area Chamber of Commerce. This is a European and British Car Show where only the entrants vote on best in class cars for trophies. Friday Registration, June 10, 2010 will be at the Sand Springs Hampton Inn, 7852 West Parkway Boulevard from 3:00 till 6:30 pm. At 6:30 we will have a free Tail Gate Party and Car Wash in the parking lot. Dinner will include smoked meats, BBQ beans and salads. Special room rates have been provided for show entrants who pre-register with the hotel. Hampton Inn, call (918) 245-8500, or email Jerrid.Cook@Hilton.com. Be sure the Hotel knows you are there with the Euro Motor Extravaganza. 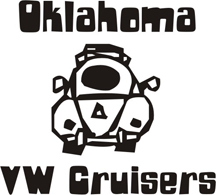 Saturday, June 11, 2010, from 8:00 till 10:00 am we will continue Registration and set up show entrant cars around the Triangle on North Main & East Broadway in Historically Beautiful, Sand Springs. During events, there will be a ‘silent auction for items donated by Sand Springs Chamber and other sponsors of the event. Proceeds from the silent auction go to benefit Therapetics Service Dogs of Oklahoma, http://www.therapetics.org . Additionally, for entrants, there will be frequent drawings for hats, t-shirts, and other merchandise. Judging of the British and European cars will be performed by show entrants between 10:00 am and 1:00 pm. Best in Show judging will only be available for those cars shown ‘open bonnet’. New this year is the addition of “Valve Cover Racing”, similar to “Pinewood Derby”, made famous by the Cub Scouts of America. Scouts, Boy & Girl, Royal Rangers… and others in group specific uniform race for free… but are unavailable for trophies. Racers are elicited to create their own classes in advance of racing. Valve Cover Racing starts at 11:00 am on the Triangle at Sand Springs. See the rules which are attached. The Awards Banquet will be held at the Hampton Inn… and you guessed it.. in Sand Springs… and again this year catered by the Steer Inn of Mannford… an official suburb of Sand Springs. Cocktails and conversation start at 6:00 pm, Prime Rib dinner will be served at 7:00 pm. At 8:30 pm, we will have door prizes, a live auction for a few very nice items, and the presentation of awards. Sunday, July 12, 2010, we Autocross / Slalom race again at the big K-mart parking lot, 1200 East Charles Page, in Sand Springs, from 9:00 till about 1:00 pm. Entrants will have the option of having their driving skills recorded on http://www.youtube.com while they tear around the track, threatening traffic cones. This event is nearly as exciting for onlookers as for the drivers. The Jaguar Club of Tulsa is a non-profit car club for individuals who appreciate the history, craftsmanship, driving, and restoration of British and other fine automobiles. The club was originally started in 1970 as an affiliate of Jaguar Clubs of North America, Inc., and is now in its 41th year of continuous service. West of tulsa little, supulpa exit, go north.